Wanna get paid to eat out? Become a restaurant mystery shopper! Eating out can get expensive very quickly. Do you know how much do you spend on dining out every year? According to a report by the Bureau of Labor Statistics, we (an average family) spend about $3,008 dining out every year. But, what if you could have your night out on the town with someone else paying the tab for you? Better yet, what if the restaurants and pubs you are trying out were the ones paying your bill? No, this isn’t a scam! These market research companies (yes, the same kind of companies that pay you take online surveys), conduct studies on behalf of restaurants and bars to improve the way these establishments run their business. But before you get all excited and run out to find the first mystery shopping job you come across, there is one important thing you need to know. Sure, you can make money as dining in local restaurants and then sharing your experiences doing so. 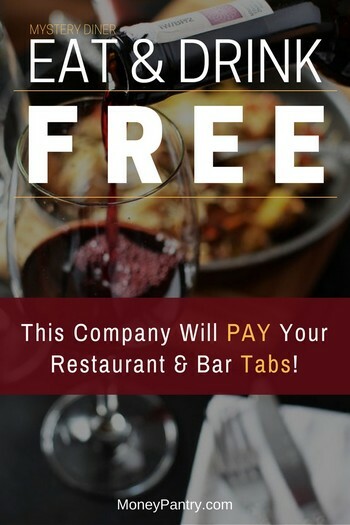 However, the company we are talking about today doesn’t actually pay you – they pay for food and drinks you get to enjoy, though there are other companies that not only pay the tab but also pay you on top of that. And this (companies rewarding you in different ways) is true no matter which research firm you work with or what kind of secret shopping job you take on – telephone mystery shopping, hotel mystery shopping, restaurants, cruises, spas, retail shops or even movie theater mystery shopping. …even if they just pay for the food and drinks, you are actually getting paid in the form of free food and drinks. MysteryDining.net: The company that pays you to eat out? Getting free food and drinks and maybe even cash as a secret shopper. The market research firm that rewards you for dining out is MysteryDining. MysteryDining.net is a panel run by one of the top market research companies in the world, HGEM. It is a research firm that specializes in mystery shopping studies in the hospitality industry – restaurants, hotels, pubs, resorts, etc. The process for shopping with Mystery Dining by HGEM is fairly straightforward. First visit MysteryDining.net and get yourself familiar with the company. Once your application is approved, you’ll hear back from them with details on how to get started. One thing that sets Mystery Dining by HGEM apart from many others is that it states that you are a volunteer. The difference is that you can get reimbursed for your services to the organization. So how does the actual assignment work? The second step is the fun part. Go out and enjoy a night on the town. When you get home, log into the Mystery Dining portal and complete your detailed report. That report must be submitted before noon the following day, though it is best to do so when the details of your evening are fresh on your mind. Once you submit you’re report, Mystery Dining will call you with any questions or points that need clarification. Within three to four weeks of your visit, the expenses you agreed to when accepting the shop will be deposited into your account. Now, as I mentioned earlier, they also offer pub, bar and hotel mystery shopping jobs. So, you can also expect those kinds of assignments. In order to become a mystery diner with Mystery Dining by HGEM there are a few requirements you must meet. You must be able to write in clear English. You must be able to record a detailed account of your experience and your observations. Must be available to answer questions or offer clarification by phone the day following your visit. The other thing to consider is access to “shops.” If you want to book a shop with Mystery Dining by HGEM, you must be available to travel in the areas where they operate. The application is straightforward and easy to fill out. Be warned, though, that Mystery Dining is selective in who they choose to accept as shoppers. They have specific needs at any given time and prioritize according to applicants that can fill those exact needs. In other words, not everyone gets accepted. If you aren’t one of the lucky ones, don’t despair. There are other mystery shopping and dining opportunities to consider. How much money can you make as a secret diner? One of the big questions you’re probably asking is what you’re going to get out of the deal. You do make an investment of time in booking the mystery dining experience, going to dinner, and then following up afterward with the report and phone conversation. You want to know that you’re getting something out of this. Different companies have different policies for compensation. With Mystery Dining, the compensation is generally a free meal or a free hotel stay. But depending on the gig you may also get paid in cash on top of getting the meal, drinks, or your hotel stay for free. Any compensation is offered when you book the visit so there is no room for confusion or misunderstanding. The one thing you want is to make sure you fully understand the anticipated reimbursement dates, amounts of reimbursement, and requirements for reimbursement. Other users around the world have been thrilled with their experiences shopping restaurants for Mystery Dining, including one blogger who used her Mystery Dining experiences as a perfect Date Night. While Mystery Dining offers excellent opportunities for shoppers interested in restaurant shopping, they aren’t the only one you can choose from. If you’re specifically interested in hotel and restaurant shopping opportunities, the following companies may be of particular interest to you. 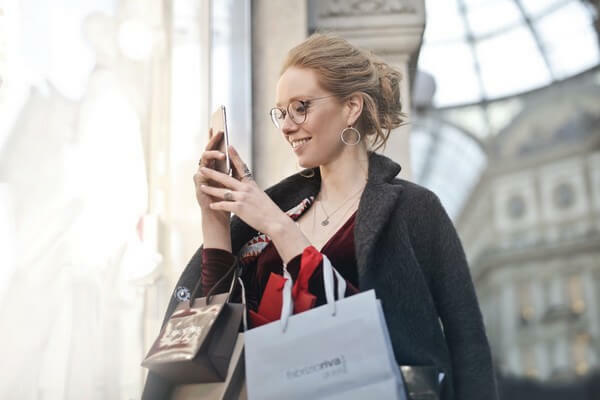 That doesn’t even begin to touch the long list of mystery shopping companies that service other industries including real estate, apartment shopping, technology, banking and finance, health care, theme parks, casinos, and more. Why would diners and restaurants pay you to eat there? This is the big question on everyone’s mind. Why would a business PAY someone to shop in its own store? Businesses choose to pay mystery shoppers for a variety of reasons. Larger businesses, or chains, do this because it’s nearly impossible to police every store and monitor how well employees are complying with the standards the company has established. Smaller businesses do this in an effort to increase exposure and to look for areas where they can improve. They are often specifically interested in improving customer service, presentation, and other things that affect customer experiences. What surprises many people, though, is that businesses will often hire shoppers to “shop” their competitors. Why would a business ask you to check out its competition? And, PAY you to do it? Because it helps them understand how they rate against their competitors. It also provides invaluable insights into how impartial observers view their competition. Restaurant owners have many specific questions they may want answered from mystery shoppers. Mystery restaurant shoppers have a lot to offer restaurant owners – especially those looking to grow their business or considering expansion. Businesses in the restaurant industry face a lot of competition and must remain on top of their game to compete effectively. Hiring restaurant mystery shoppers allows restaurant owners to keep up with what’s going on in individual stores, identify potential problems, and keep their employees motivated to provide an excellent experience consistently. This is so effective that even universities like Cornell pay students to do mystery shopping for their on-campus eateries. There are plenty of legitimate mystery shopping and mystery dining companies available today. Unfortunately, there is a seemingly endless supply of companies interested in scamming you out of your hard-earned money while promising you opportunities to make money at the same time. 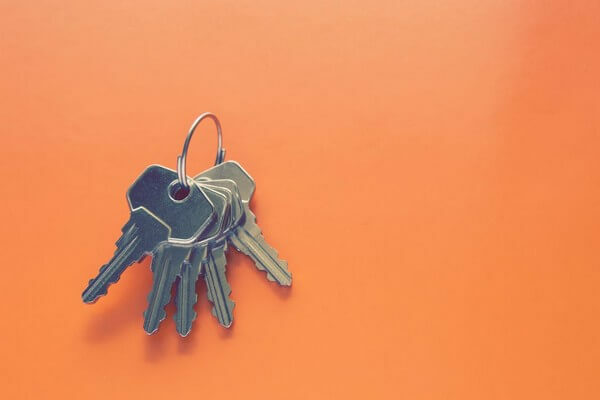 While there is no simple solution to weed out all the bad companies out there, there are a few things you can do to protect yourself from scams. Don’t accept cash in advance of shops and run from companies that offer them. Don’t pay to sign up for mystery shopping gigs – you’re doing this to MAKE (or at the very least SAVE money not spend it to get the gig). If it sounds fishy, or too good to be true, verify. Call the actual company (look up the phone number and call them) to find out if the offer is true and if the person you spoke to is a legitimate representative. Check for complaints with the Better Business Bureau or the Attorney General’s office in your state. Also remember that you can do mystery shopping and dining while you travel since there are opportunities around the world. This makes travel far more affordable – especially when you do mystery shopping to book hotels and restaurants during your travel. Restaurant mystery shopping may not fill your coffers with cash, but it does offer you the opportunity to enjoy a few of life’s little luxuries without paying retail for them. In some cases, you can get items you covet, watch movies, or have an excellent date night on someone else’s ticket, PLUS earn a little extra spending money in the process. And with a company like HGEM, you can not only get free hotel stays and drinks, you can also get paid to eat or at least get a few free meals out of it.